January is farm show month. These shows provide an excellent opportunity to hear experts speak on what happened in 2014 and how to keep getting better in 2015. You’ll also have a chance to meet CCC agronomy staff and representatives from your provincial canola grower organizations. 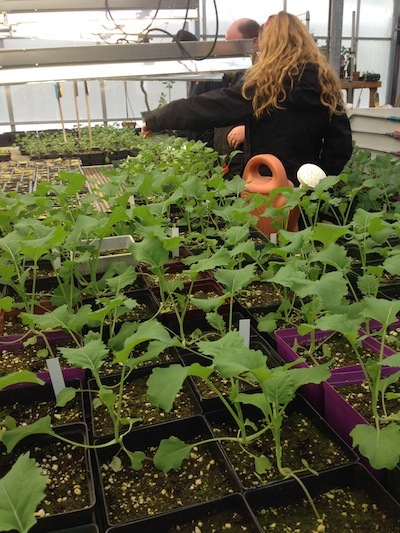 January is the month to register for canoLAB 2015. Plants are growing in reparation, as you can see in the photo above. Dates for the one-day lab are February 10 or 11 at TCU Place in Saskatoon, February 18, 19 or 20 in Olds, Alberta, and March 11 or 12 in Brandon. See the article below for registration details. Hey CCAs and CCSCs! Remember to take our Canola Watch exam this month. Pass and you’ll earn 6.5 credits. If you aren’t a CCA or CCSC you can still take the exam and brush up on your canola agronomy. It’s free. Finally, did you get a chance to read the article on “Big Data” in the January issue of Canola Digest? We’d like your feedback on what data topics interest you, and what more you’d like to learn. The January issue is posted here. Provide feedback here. Thank you! CanoLAB 2015 explores a new mix of agronomy topics that will appeal to first timers as well as those who attend CanoLAB each year. 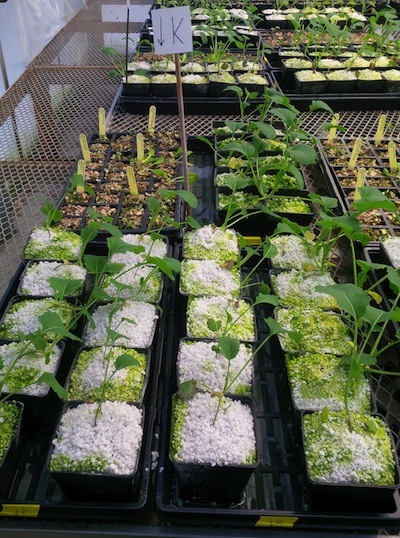 The plants in the photo are being prepared for canoLAB 2015. Real plants with real problems greatly enhance the experience canoLAB will provide to you. Missing Pods – Where Did They Go? CropSphere opens the evening of January 12, and has two days of keynote speakers and concurrent sessions January 13-14. All CropSphere events are at TCU Place in downtown Saskatoon. Agronomy Update is a full two days of agronomy presentations. The agenda includes CCC agronomy specialist Dan Orchard, speaking January 21 on Ultimate Canola Challenge research results. Other canola specific topics include Hector Carcamo on lygus research, Sheau-Fang Hwang with a clubroot update and Ralph Lange on blackleg management. FarmTech is sold out! If you are registered and want to set up a game plan for which sessions to attend, go here.